I love simple and elegant patterns especially when it comes to paper goods. I spotted this pretty branding design by a UK designer Sarah Walsh. 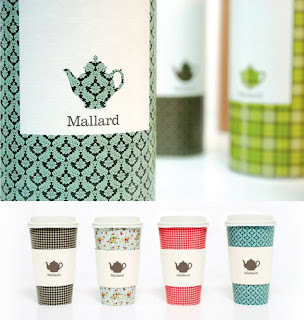 It was designed for a tea company called Mallard Tea. I don't think I would be able to throw these cups away!! !